HPI Clear – can email certificate. COC available for export @ £110 extra. Original owners booklet, every MOT from new, huge amount of paper work. Full service history with stamps in the service book. 2004 1,343 miles – Christopher Neil Ltd – After sales service. 2005 9,522 miles – Christopher Neil Ltd – Regular service. 2005 18,632 miles – Christopher Neil Ltd – Regular service. 2006 28,132 miles – Christopher Neil Ltd – Regular service. 2006 37,525 miles – Christopher Neil Ltd – Regular service + more work. 2006 46,140 miles – Christopher Neil Ltd– Regular service. 2007 55,001 miles – Christopher Neil Ltd– Regular service. 2007 58,317 miles – MOT. 2007 64,223 miles – Christopher Neil Ltd– Regular service. 2008 72,176 miles – Christopher Neil Ltd – Regular service + more work. 2010 80,129 miles – MOT. 2008 80,135 miles – Christopher Neil Ltd– Regular service. 2009 83,018 miles – MOT. 2010 85,123 miles – Christopher Neil Ltd– Regular service. 2010 85,977 miles – MOT. 2011 89,212 miles – MOT. 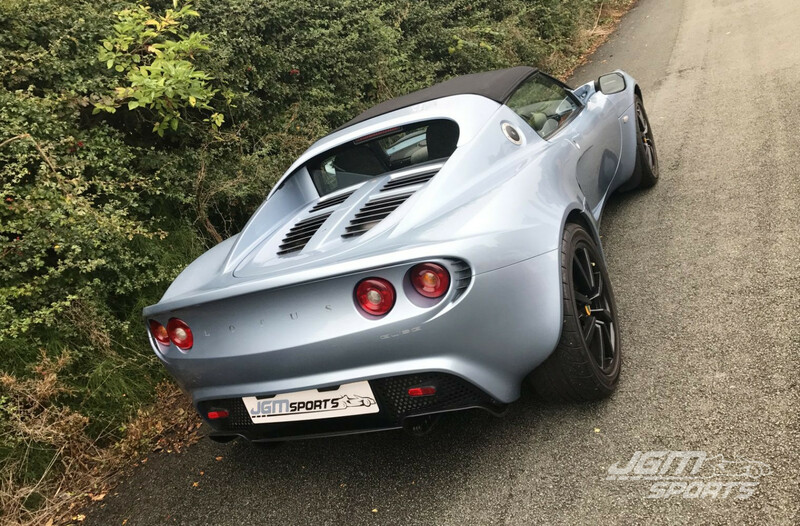 2012 91,180 miles – MOT. 2013 92,580 miles – Home serviced – Regular service. 2013 93,885 miles – MOT. 2014 96,150 miles – Home serviced – Regular service. 2014 97,006 miles – MOT. 2015 99,016 miles – Home serviced – Regular service. 2015 99,739 miles – MOT. 2016 100,606 miles – MOT. To prepare the car for sale a full service and a fresh MOT will be carried out. TRD Airbox and sports filter. ECU reflash to allow second cam to enter at 5,800rpm. Elise parts alloy belled brake discs. Rear diffuser powder coated black. Normal 111r touring extras, electric windows, remote central locking, DAB radio etc. Body work in fantastic condition with hardly a mark on it due to it being fully Armourfend. 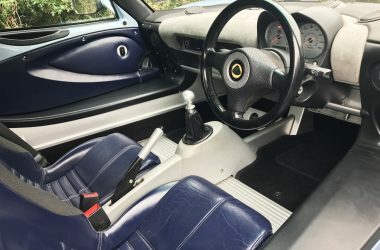 Matching blue leather seats and door cards, interior is in excellent condition. Drives great with no issues as its been maintained regardless of cost. 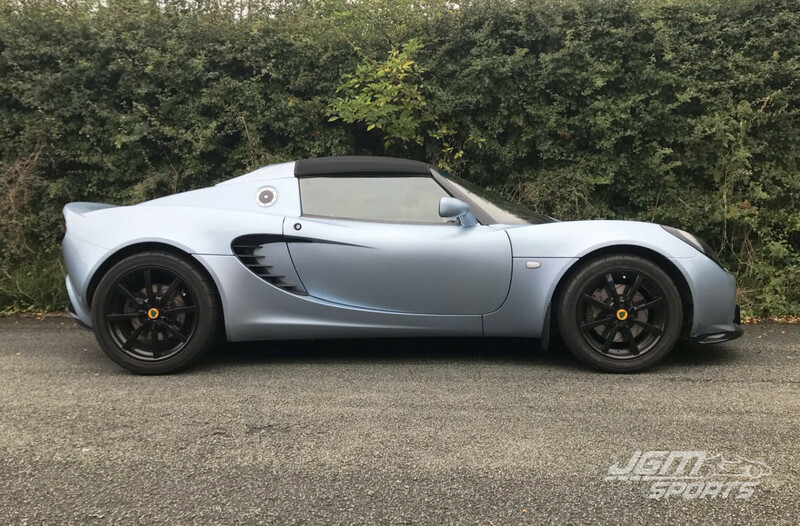 Don’t let the mileage put you off, this Elise is in better condition than most with half the mileage. Delivery available UK/Europe/Worldwide, please contact us for more information. Copyright ©2019 JGMSports. All rights reserved. Company number: 10757725, VAT number: GB 275380584, All prices shown on this website are inclusive of GB VAT unless otherwise stated but do not include carriage or delivery.